Early Head Start (EHS) is crucial to a child's (0-3 years old) social, intellectual and physical development. 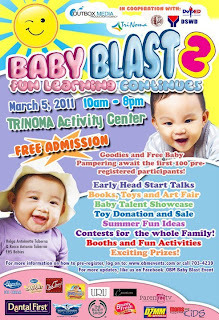 If you are interested to know more about EHS, come join advocates, parents and teachers on March 5, 2o11 from 10:00 A.M. to 8:00 P.M. at the Trinoma Activity Center for Outbox Media's event aptly called Baby Blast Year 2: Fun Learning Continues, a one day event highlighting the importance of early childhood education. 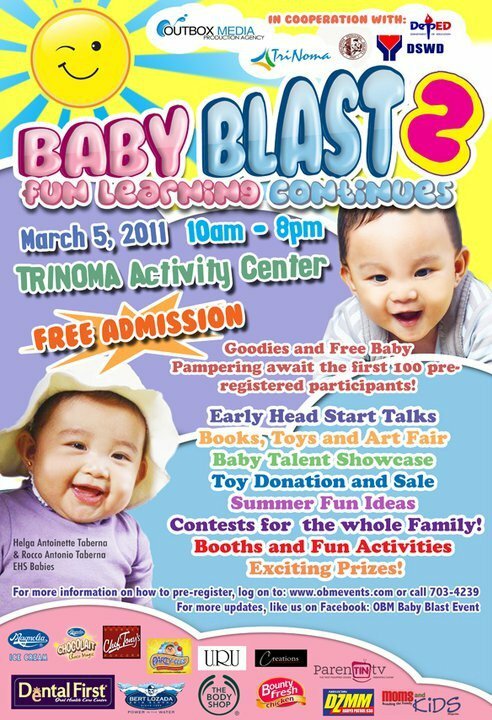 Bring your babies! See you there!